A.T and I decided to stop by Laurie Dee’s for lunch after my induction for a volunteer job at Pacific Epping (a place very far away from my home and where I would never imagine visiting, let alone working… but so glad I do now!). One of the best discoveries to date! 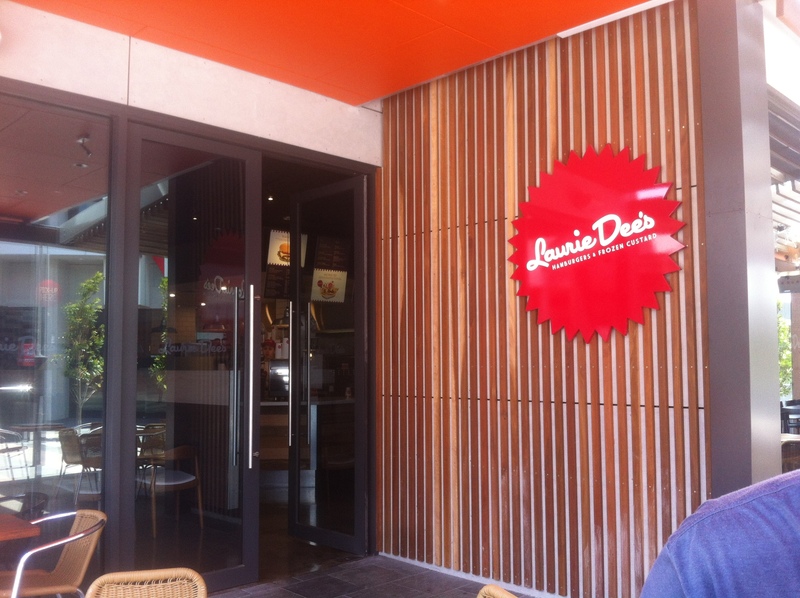 Such a casual and quiet environment, Laurie Dee’s is a mix between an American diner and a fast food chain. I think the travel distance in those early mornings have now become well worth it when I know burgers as good as these are waiting for me at the end of the day. Chilli Cheese Fries ($8.95) – shoestring fries w/ Laurie Dee’s special seasoning and topped w/ mild beef chilli, cheese sauce and salsa fresca. Both A.T and I agreed that the fries were tasty but also pretty average as well (and overpriced in my view, they were more expensive than the burger!). 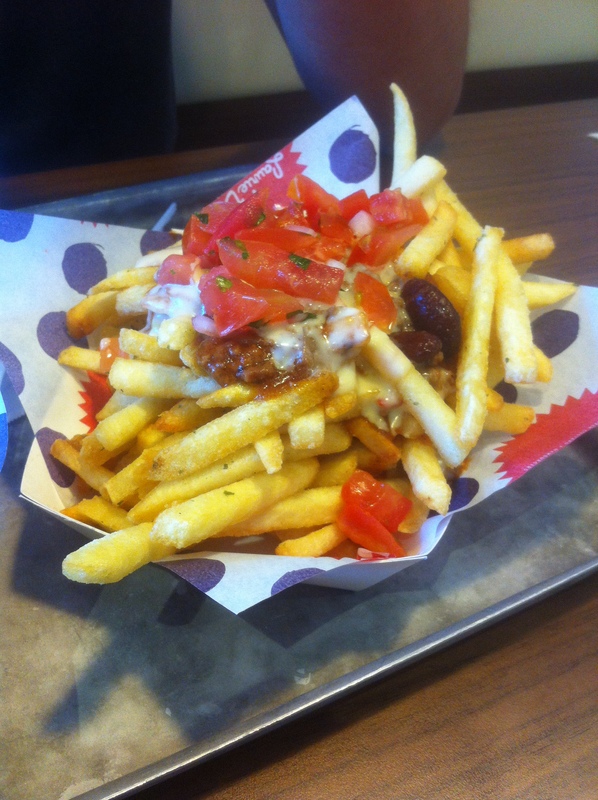 We both hoped for something spicier… it is called ‘Chilli’ Cheese Fries for a reason. I did enjoy the flavours and freshness of the ingredients blended together and found the shoestring cut of fries much easier and more addictive to eat than a thicker cut, so great choice of fries on their part! The Laurie Dee Burger (single patty $7.95) – angus beef minced patty, grilled onions, cheddar cheese, Special D sauce, tomato, lettuce, pickles & tomato relish. A.T (who ordered the same burger) – when asked to review the burger, A.T thought it was appropriate and relevant to quote Marshall from How I Met Your Mother and also said that it was the best burger he has tasted to date. TwT (me) – I would arguably agree… but at the same time, I haven’t tried many burgers in my lifetime. This juicy, sloppy, wholesome burger was just oozing of fatty goodness (though the only downfall was the oil, which kept dripping down the burger… it was one messy feast). Salty and tenderly cooked meat minced on the day, an added sour flavour and crisp of the pickles, the freshness of the tomato and lettuce, tying together with Laurie Dee’s genius combination of tomato relish and their creamy special D sauce which was special indeed. This bad boy was wrong for me in every way but tasted oh so right. A complete upgraded version of a typical American fast food burger, The Laurie Dee is great value for your buck! 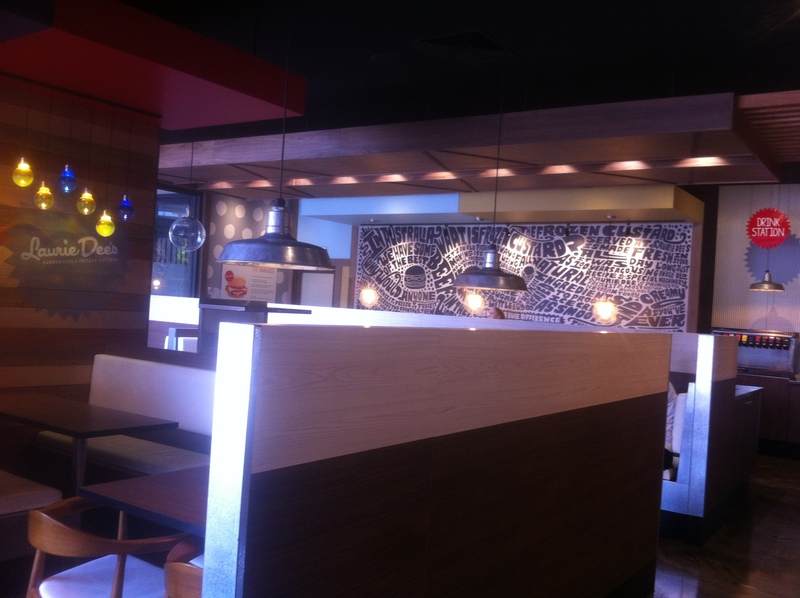 Definitely coming back very soon… I am already craving. Frozen Vanilla Bean Custard (single cup $2.95) – what a terrible way to end such an amazing meal. 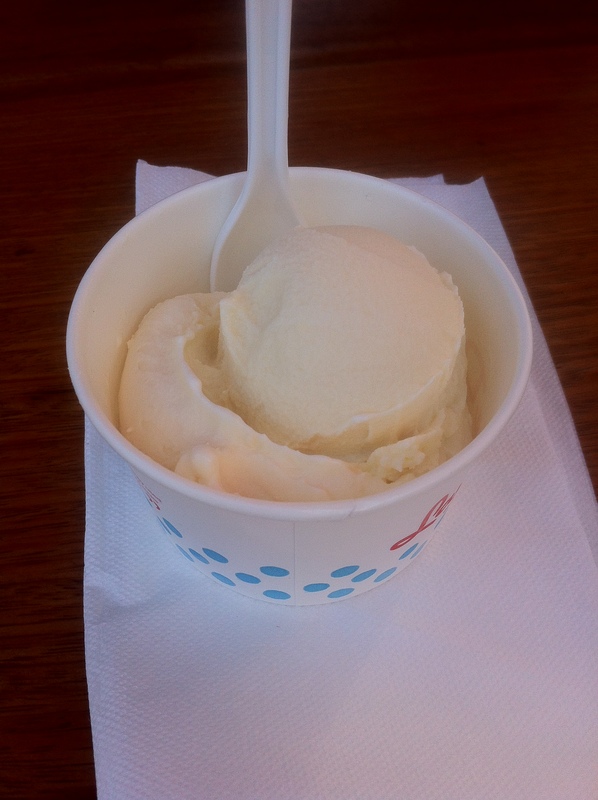 Their frozen custard just tasted like… well frozen custard. I could not taste the vanilla bean at all, it was just awfully sweet and milky. Very very sickening, both of us could only finish half of our cups and that was pushing it (we tried so hard to get through it, we really did). The only thing I liked was the ice-creamy texture.